We are festive people and ours is the land of festivals. We find pleasure in sharing our festive celebrations with our guests. Bhaktapur a medieval town is well known for preserving its living culture. Festivals are enjoyed all year around. 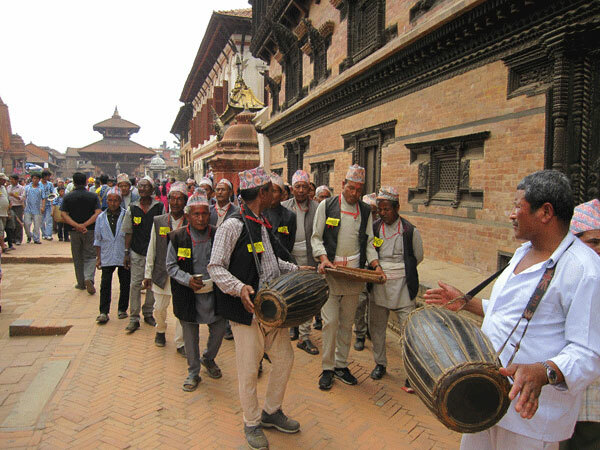 Popular major festivals such as ‘Bisyau Jatra’ in April goes on for 9 days, ‘Gai Jatra’ in August continues for 7 days, ‘Dashain’ in October lasts for 10 days and ‘Tihar’ in November is celebrated for 5 days. Heartily rejoiced, these festive occasions offer fun and opportunities of intermingling with the locals. Krishna House is a place for all seasons. Low rates are offered from mid June to the end of August and from mid December to the end of January.